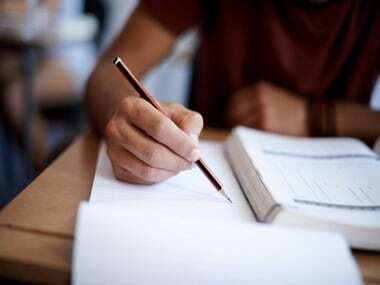 SSLC, II PU Results 2019 Date | The second pre-university (II PU) and the Secondary School Leaving Certificate (SSLC) results will be announced in the third and fourth weeks of April respectively, said Public Education Commissioner, PC Jaffer, on Monday. Coding and decoding of II PU papers will start from 21 March, while valuation will begin from 25 March. Evaluation of SSLC papers will begin from 10 April. “As the Parliamentary elections are clashing with SSLC evaluation, it will be extended for three more days. However, we will complete the evaluation work two days after the second phase of elections and announce results by end of April,” said V Sumangala, director, Karnataka Secondary Education Examination Board (KSEEB). As the state is going for the General Election on April 18 and 23, arrangements have been made, he said. In 2018, the II PU exam results were announced on 30 April and the SSLC results were out on 7 May. This year, the evaluation process for SSLC will be completely online. However, for II PU it would be both manual and online. While 6.73 lakh students had registered for the II PU exam, 8.41 lakh students have registered for the SSLC exam this time. In a first, marks will be entered online during the evaluation for both the exams, which will make the process faster. Until now, evaluators used to fill the marks in an OMR sheet. The sheets will then be sent to the respective boards and processed. However, under the new system the evaluators will enter the marks online.